Traffic moves slowly on the Schuylkill Expressway (I-76). 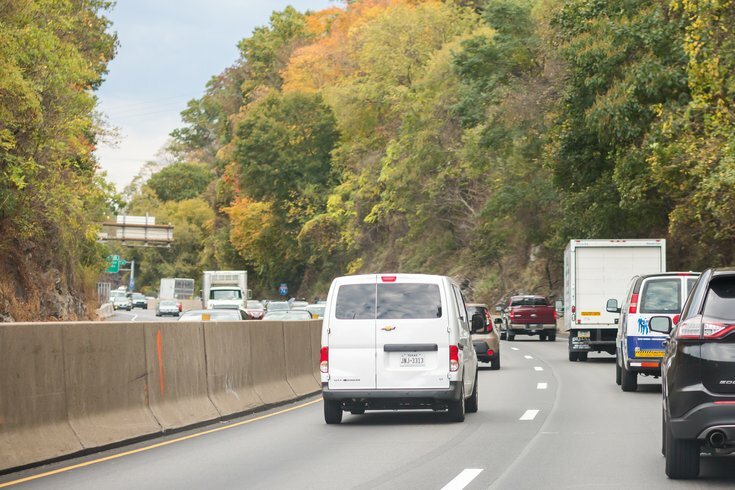 The good people at the Pennsylvania Department of Transportation were kind enough Friday to share advance notice of lane closures that will turn the Schuylkill Expressway into more of a joy to drive next week. On the plus side, these closures will be confined to the overnight hours between Tuesday and Thursday along a dozen Montgomery County miles. On the downside, it’s probably a good idea to find an alternate route if you’re going to be driving during those times. The single-lane closures – between 9 p.m. and 5 a.m. – will be in both directions along a 12.5 mile stretch of I-76 in Upper Merion Township, Lower Merion Township and West Conshohocken Borough, per PennDOT. Under this improvement project, PennDOT is milling, overlaying and rehabilitating existing pavement; performing base repairs; installing new guide rail; repairing or replacing damaged traffic signs, two overhead sign structures and numerous expansion joints on three structures; and installing rumble strips, delineators and new mileage markers along the four-lane section of I-76. The resurfacing of mainline I-76 in Montgomery County was completed in October 2017, while work on the entire project will finish later this summer. So, keep this in mind next week, late-night and early-morning commuters. A list of weekly road restrictions and projects in the Philadelphia region is available by clicking this link. As always, please be careful while driving through construction zones.